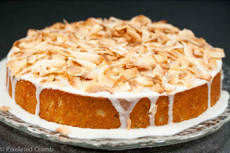 March 13th, Coconut Torte Day, begs the question: What is a torte? Is it just a pretentious word for cake, something to make you think the torte is more special than an everyday cake? Nein, mein freund. While torte is the German word for what the British (and Americans) call cake and the French call gâteau, they don’t refer to identical confections. Different cooking traditions led to different styles of baking. British cakes, German tortes and Italian tortas are generally hardier creations than delicate French gâteaux. The French, those keen culinarians, went for light, rich, layered affairs stuffed with custard, whipped cream or butter cream, frosted, and decorated with fresh fruit—oh la la, but very perishable. 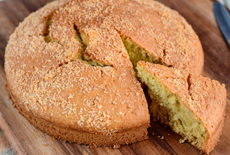 While British culinary tradition created sturdier, longer-lasting pound cakes and fruit cakes, tortes are rich, dense cakes made with many eggs and little or no flour, using ground nuts (and sometimes breadcrumbs) for texture. A torte is thus easily recognizable because it’s one layer that’s shorter than a typical cake layer, often no more than 2-1/2 inches high because there’s not much, if any, flour to rise. 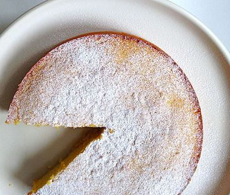 Flourless cakes are tortes. The crumb is denser than the airy crumb of a layer cake; it’s similar to the density of a Bundt cake. And a torte is wider than a cake—usually 10 to 12 inches in diameter compared to the typical 8-to-9-inch cake. That’s to compensate for the shorter height, so each short wedge will be a good portion. Remember these words: one short, dense, round layer. These two are not related except broadly: both are filled baked goods that can be sweet or savory. A torte (photos 1, 2 and 3) is a type of cake. It does not have a separate crust, as do tarts and pies. It is baked in a tin with smooth edges. A tart (photo #4) is related to a pie: a filled crust. A tart has no top crust but it may have a lattice. A pie can have a top crust, no top crust, or a lattice. It is baked in a tin with crimped edges (more difference between tarts and pies). A torte can be plain or iced. Here, a plain coconut torte from SweetSmarts.com; it’s also sugar-free. A Key Lime Coconut Torte from Pixilated Crumb. A flourless almond and coconut torte. Here’s the recipe from Food 52. 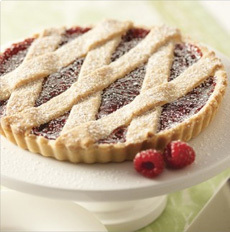 A linzer tart. A tart is NOT a torte. See the difference at left. Unlike a pie, which has a soft, thin crust and—often—a soft filling that will ooze out once sliced, tarts have a hard, thick crust and a firm filling. The entire tart stands erect on its own, with no pan to hold it. In fact, the baking pan is removed before the tart is brought to the table. Similarly, the firm filling of a sliced tart will not ooze. What to remember: torte is a cake, tart is a [relative of] open-face pie. CHECK OUT THE DIFFERENT TYPES OF CAKES IN THE NIBBLE’S TASTY CAKE GLOSSARY.